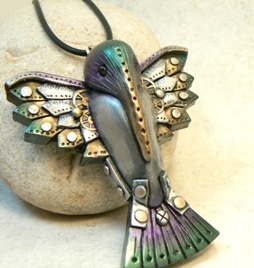 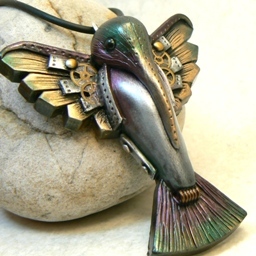 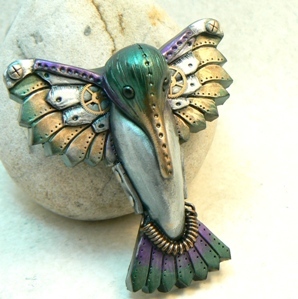 One of my earliest designs was a hummingbird. My original hummingbird, sadly was a crow. 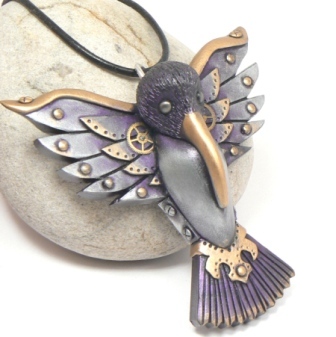 I had been working on my crow design and was trying it in frontal view. 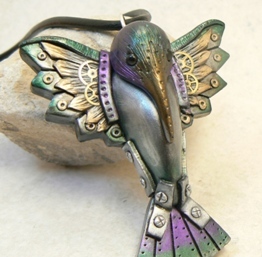 For the life of me I could not get it to not look like a hummingbird. 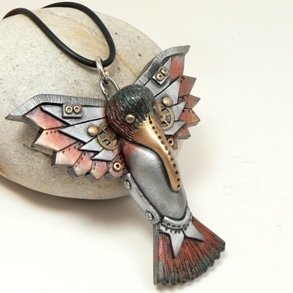 I decided the crow would have to be a side view and a hummingbird was born! 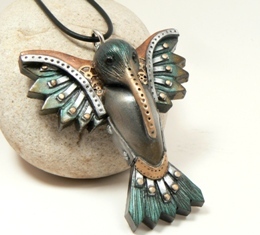 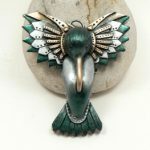 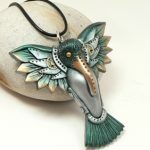 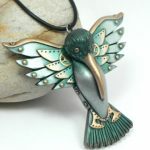 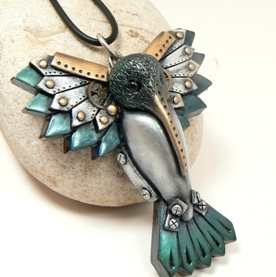 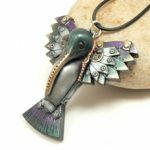 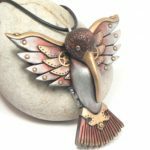 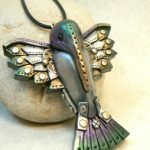 Since then my hummingbirds have been one of my most popular pieces and it’s such a versatile design so that is not a surprise. 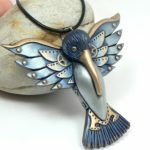 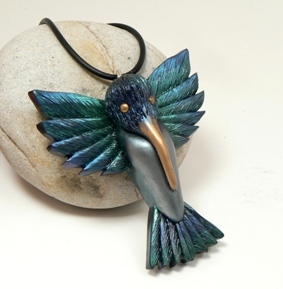 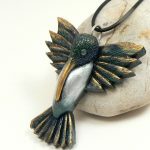 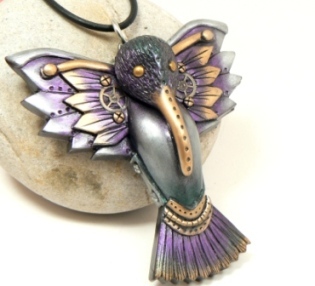 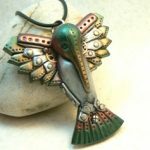 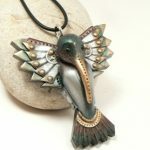 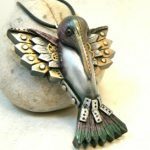 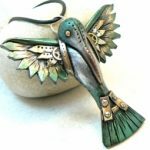 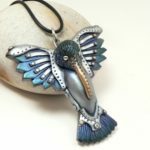 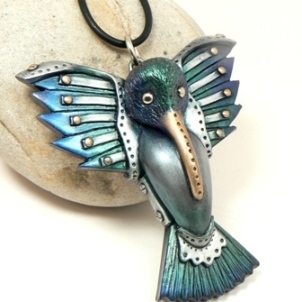 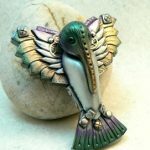 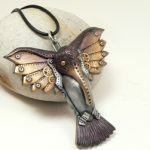 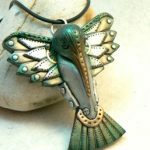 My unique hummingbirds are handcrafted from polymer clay and highlighted in metallic and iridescent colors. Some have watch gears added to their wings and faux rivets on their feathers. They all have various industrial details like faux metal straps, hinges, and screws. 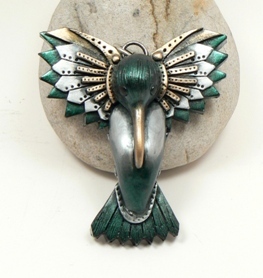 These are large pieces, they are a large pendant or they can be an ornament. See what hummingbirds are available now!